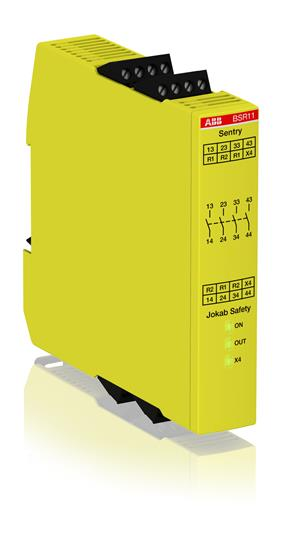 SSR10 is a safety relay with relay outputs, 3 NO + 1 NC, and a +24 VDC supply voltage. SSR10 is used with safety devices with contacts, 1 or 2 channels , and safety devices with OSSD outputs. The reset function, automatic or manual, is set with a switch on the front. No technical information is available for this product. If you have any questions on this product, please contact us for expert assistance.